LYNN, Mass. 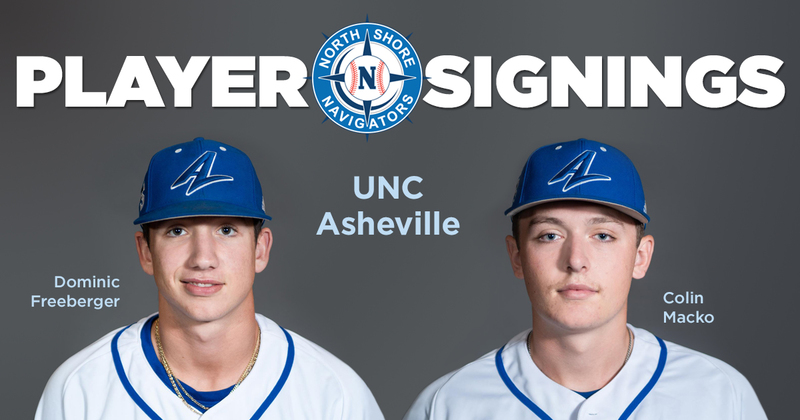 -- The North Shore Navigators headed to the Big South Conference for the next two members of their latest Futures Collegiate Baseball League roster as the signings of UNC Asheville freshmen Dominic Freeberger and Colin Macko were made official on Wednesday. Director of Player Procurement Joe Gill made the announcement. Freeberger joined the Bulldogs from Baltimore, Md., and Calvert Hall College High School, where he hit .320 with a team-high eight doubles, did not commit any errors, and held a 0.51 ERA in 15 innings on the mound as a senior. Primarily a second baseman, the 5-foot-11, 190-pound Freeberger was named the seventh-best infielder in Maryland by Perfect Game USA and also earned Mid-Atlantic Honorable Mention honors. A native of Mountain Top, Pa., Macko begins his collegiate career after leading Crestwood High School to back-to-back District 2/Class 5A championship appearances as well as back-to-back Division 1 titles. He led the Comets with a .372 average, nine RBI, and 10 runs scored as a senior. The 6-foot-4, 215-pound infielder/outfielder was named the No. 49 player in Pennsylvania and a Preseason Honorable Mention All-American by Perfect Game. This summer will mark the second time North Shore has welcomed in two UNC Asheville players. The Navs’ roster in 2015 included Bulldogs outfielder Tanner Bush and infielder Derek Smith. 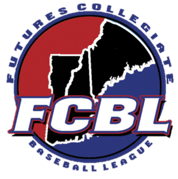 The Asheville duo joins Columbia’s Tyler MacGregor and Saajan May as well as Maine’s Bobby Cliche and Ben Terwilliger on the 2019 roster.